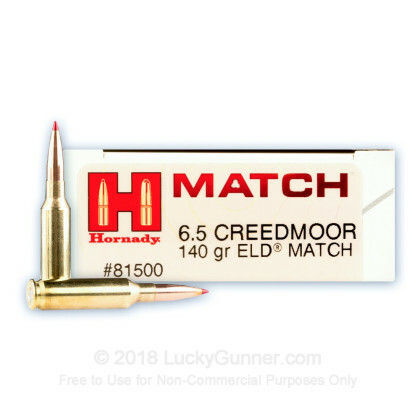 This 6.5mm Creedmoor cartridge by Hornady features a 140 grain ELD Match projectile. 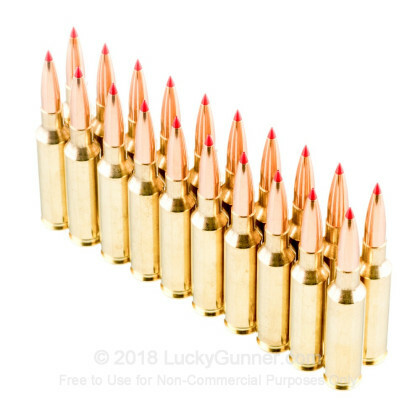 ELD stands for “Extremely Low Drag,” a name befitting of a bullet that sports Hornady’s own Heat Shield polymer tip, which is immune to the adverse effects of aerodynamic heating. Because of this the tip retains its shape perfectly, even as it zips out of the muzzle at a velocity of 2,710 fps. The ELD Match also features a streamlined secant ogive profile, the boat tail design of which drastically increases its ballistic coefficient for lowered sensitivity to cross winds, a level trajectory, and greater energy delivery to the target. 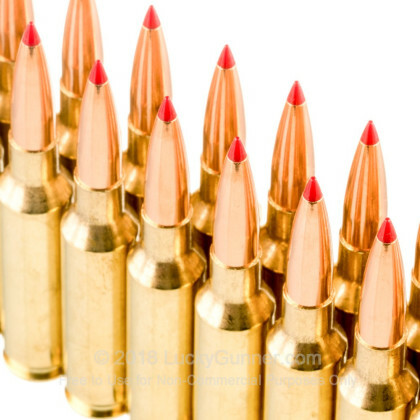 Whether you’re spending the day bidding hogs bon voyage or seeing just how surgically precise your old Creedmoor can be, fewer bullets can deliver more than the ELD Match does. 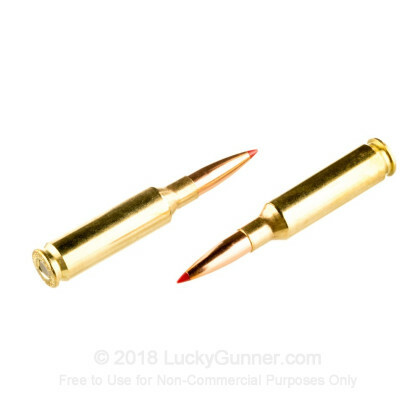 This round additionally offers a select brass casing with uniform wall thickness and concentricity, powder matched perfectly to its caliber, and responsive and consistent primer. 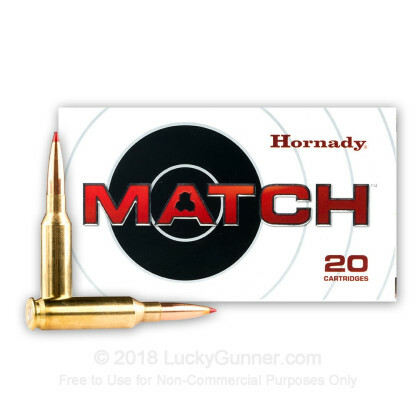 Hornady inspects their products inside and out before shipping them to us, so you’re guaranteed great ammunition whenever you see that big red “H” on its box. 200yd zero, excellent results @500,800,1000,1200,1500,1800 yards. 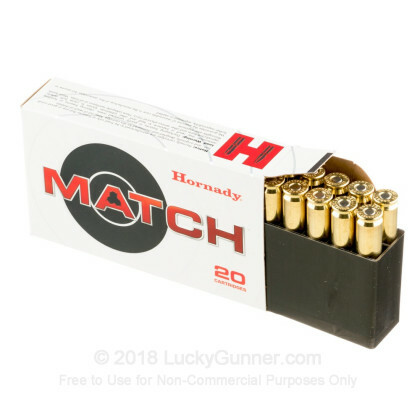 We also have this 6.5mm Creedmoor - 140 Grain ELD Match - Hornady - 20 Rounds ammo in stock in a smaller quantity.